I.R.S. have finally updated their Where’s My Refund tool. They will be unloading millions of dollars over the next few days to taxpayers. We have received news that the I.R.S. updated their Where’s My Refund webpage last night at 12 A.M.. Thousands of people have their Direct Deposit date sets to “on or before February 15th, 2017”. This means that the February 5th payout date is still correct. They will send the funds to the bank on Monday and the funds will be set to be direct deposited on Wednesday February 15th 2017. This will give your bank time to handle the huge load of all of the transfer they receive of millions of dollars over a day period. Please check the I.R.S. Where’s My Refund webpage and then be watching your bank account for the direct deposit. We strive to keep our schedule as accurate as possible and hope that you have enjoyed reading. We are compiling a list of refund dates for 2017, so please visit this post and comment when you were accepted versus when you actually received your refund. Please like us on Facebook, follow us on Twitter, tell your friends about us. Received turbo tax acceptance email for federal taxes on jan. 28, 2013. Where's my refund only says received. Will I still get refund direct deposited by feb. 5? Is it possible that we could get refunds before the web site updates to approve? on the 29th they sent me an email saying my tax return was received. Although, as of this morning it still says its being processed.. could there be a chance i may still get it this week? Or will it probably be next week? I have seen that happen in the past, but I wouldn’t count on it. I would just check the website daily. Caroline, I would say that the chance is slip to none. I would keep an eye on the Where’s My Refund page daily though. My returns were accpeted on january 31st. So should receive my refund by the 5th? Mine was accepted on the 29th and still no update!! UGHHH has anyone gotten anything in their account as of midnight?? I have an email from H & R Block saying that the IRS accepted my return on Feb 2nd. Is that what everyone has received? When I check Where's my refund? it just shows that my return has been accepted. wmr states that i will get a dd today 2/6. I am having mine put onto a netspend card through turbo tax. so far there is nothing there. when I go to the santa barbara tax product (the bank that handles the fees to be taken out) they say they haven't received anything yet. Hoping that I get it today still. if your payment was sent to like turbotax type where it has to go through another bank to take out fees then you have to wait until that bank opens and they will process them. Some banks are not open yet so check your accounts later this morning or afternoon. Dd 2/6 only thing I got so far is my state return. i just read the santa barbara tax product bank site hours of op start at 8 eastern time…so if the irs did send it to them, they probably wont process til they open I am assuming…hopefully we will get our money today at some point…fingers crossed. did anyone's status change to sent on wmr? So when it says it was sent out is when the payment ahas been posted to the bank or my card? Because my status says approved and then gives me a expected date of today. Nope, im waiting as well. Im guess no ones return is in the f2f account yet. Then again it is still early and the banks aren't open to process payments n update there system. I was assuming itd be there around midnight lime my paychecks lol. Apparently I was wrong. So we could still recieve them today? I am in the same boat as Amber. Mine states that direct deposit will be sent by the 6th. Today is the 6th, it is not showing that it has been sent nor does SBB show receiving it. Guess its a game of wait and see. I'm with you Sarah. I file on the 14th accepted on the 26th, DDD 2/6 nothing yet. I bank with USAA and I contact them this morning, no pending deposit yet. Hopefully by tomorrow. USAA already process credits and debits for today so even if IRS send the authorization I won't get my refund until tomorrow. Waiting for a DD for today, 2/6…Using Netspend and TurboTax…Has anyone got theirs yet? Many of my clients did. The ones who paid upfront did. 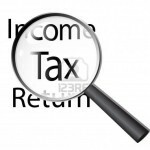 The ones who had their payment taken out of their refund, however, have not received their tax payment yet. I also have no received my portion yet. it says feb 6th and it could take up to 5 days, y'all need to calm down and wait until the 11th like the website says. Oh ok well hopefully it IS today lol. I know last year i got mine at about 2:30 p.m., using the same setup. So there is still a chance it comes today. My return was accepted on Jan 28 by the irs its 2/16 an the WMR tool is still only on the first bar? with no DD date? Im in Ga what is going on?? gray background wasn't the best choice. Your website is difficult to read with this background. Just an FYI. . . I can't clearly see the text unless I highlight it. You all have to be patience wait till next Tuesday the 11th like wmr says after that is when u should be worried. Jill I messaged u 2..Susan, anything? It says on the website if you have a date for the 6th give it til the 11th. No guarantee for tge exact date. Mine was accepted on the 31st and still says processing…. Don't say approved yet…. Wonder how long it will take until it gets approved… Did anyone here file with Jackson Hewitt??? No guarantee for the exact date it says give it until the 11. Does it still say processing? I'm suppose to pick mine up at refund office but wmr is still down. Hope it's up soon. I just got an update on mine said the irs is experiencing a delay. they will be available 1 day later, on the 7th. Anyone receive they're money yet ? Where did you find this info so I can share on my page? Have you gotten ant news yet amber gross ? Ok guys, got an update. I just went to SBBT (I filed with turbotax) and got a message that said several direct deposits that are expected today will be deposited tomorrow, 2/7. I suggest you go to the SBBT website (google sbbt tax) enter the info and see if you get the same message. Now I at least know to wait til tomorrow. Hope this eases some minds! See my update guys, go check sbbt for a message about a 2/7 deposit. please dont mind my spelling im on my phone now and i press the wrong button at times 🙂 hope you all get sone good news soon! where do i look for sbbt info. Amber I live I. Iowa how did u get that far in figuring this all out? Anyone got their DD today that banks with Capital One??? Jill, did yours deposit at a random time? Mine was said to deposit today. I bank through Capital One though. Im confused on why mine didnt depost. I did free efile from h&r block for my mother her taxes were excepted before the irs actually opened and she received her refund today!! I also have a friend who used free tax act and filed the day the irs opened and they received their refund today!! If you were approved before the 1st you will get it today. If you were approved 1st thru 8th you will get it the 13th. Today was suppose to be my day. Has anyone got a tax return yet today ?? Please note that due to heavy volumes on the opening week of tax season, several direct deposits may be pushed to the second week of payouts. Site didnt work for me. Strange ?? It should work with the same info you use with "where is my refund". It's how I tracked down my Tax Return the one year I put a wrong number for my account # , Don't ever do that. It's a freaking nightmare. I never noticed i was on my kids fb, lol. Anyways, you think ill get mine tomorrow? My ddd date was today. The message says if you are told it's coming today to expect it tomorrow. So I would assume that means everyone. Todd, we had at least 15 clients receive their refunds today. It came from the TPG group. I used turbota and its there bank that they send it threw to take there fees out then they forward it to my account. anyone that filed online and had there fees taken out can look. My taxes were received on the 31st, approved on the 1st and have and expected DDD of 2/10/14. I guess they are doing deposits more than once a week this year. You should get it on the 10th I believe. Mine was approved the 2nd and Dd was 6th and I got it. I guess they put this info I posted just as a cushion just in case. Should I Efile or Paper File? Where’s my 2014 State Return?